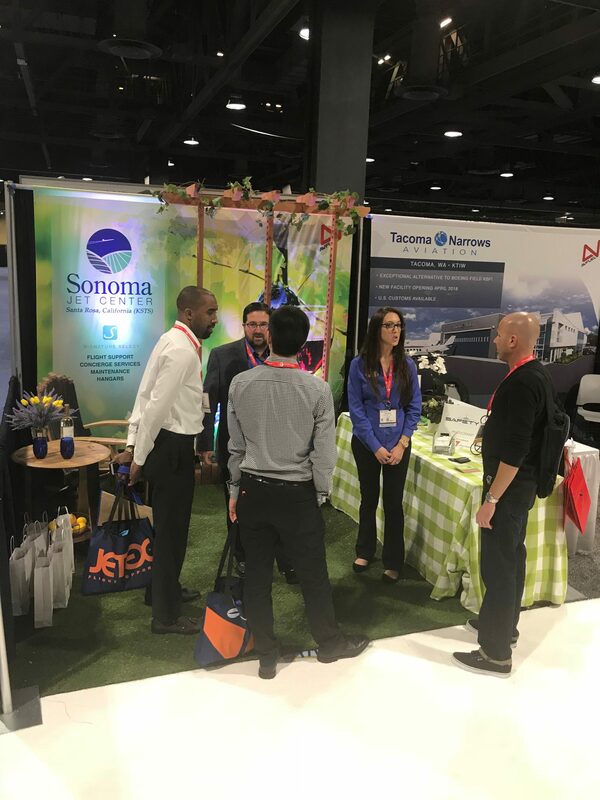 For the seventh year, the Sonoma Jet Center surprised and delighted attendees with another legendary booth on the exhibit hall floor. 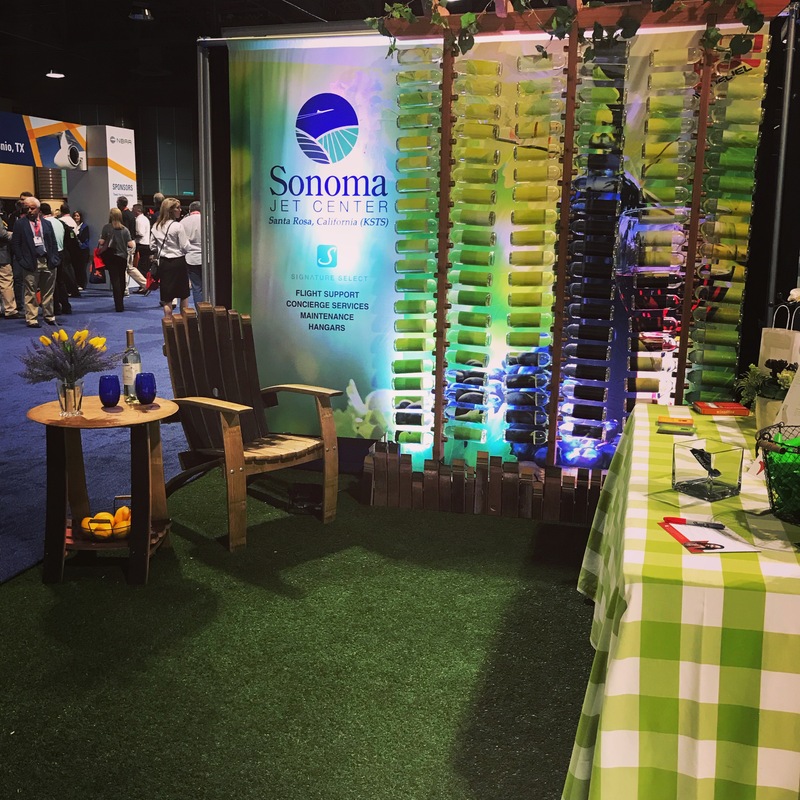 This year’s booth theme featured a Wine Wall that used 120 bottles of wine with custom graphics that visually recreated the printed exhibit booth wall. All the wine bottles were given away to attendees throughout the conference. 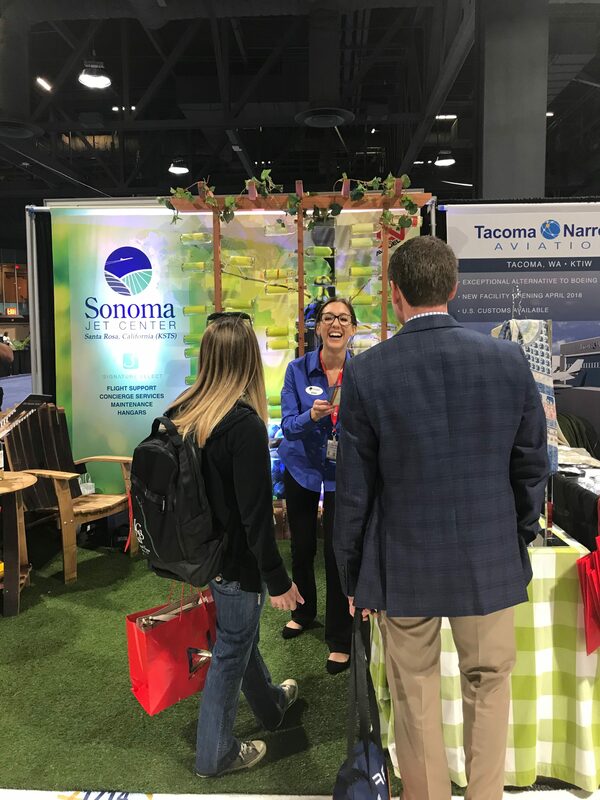 “We enjoy seeing old friends and meeting new friends at every conference and our over-the-top exhibit booths always help Sonoma Jet Center tell our story about our exceptional flight support in California’s wine country,” said Julia Hochberg, Vice President. © 2018 Sonoma Jet Center. All rights reserved. Site Designed by Planeteria Web Design.